A centre for deaf children, a furniture business supporting Indigenous talent, a 24-hour recruitment agency and a tech travel agency have lead the way in their fields at prestigious state-wide business awards. 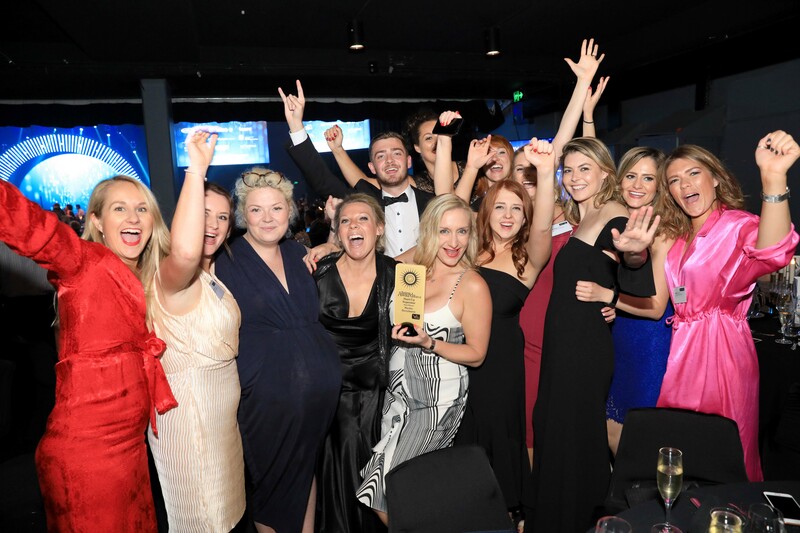 City of Sydney-based businesses The Shepherd Centre for Deaf Children, Mayday Recruitment, Excite Holidays and Winya Indigenous Furniture scooped the Outstanding Business Leader, Start-up Superstar, Employer of Choice and Excellence in Workplace Inclusion prizes in the 2018 State Chamber Business Awards. The winners were among eight City of Sydney businesses shortlisted for the 2018 state awards at Friday night’s ceremony, which was attended by hundreds of business people from across NSW. Lord Mayor Clover Moore congratulated the four city-based businesses for their recognition at state level. “These awards show our local businesses are leading the state in entrepreneurship, workplace inclusion and service,” the Lord Mayor said. “It is particularly wonderful to see Winya Indigenous Furniture recognised at a state level for their thriving and sustainable local business that works with a national panel of Indigenous artists. The award for Outstanding Business Leader went to Dr Jim Hungerford at The Shepherd Centre for Deaf Children. Since taking the helm seven years ago, Dr Hungerford has tripled the centre’s income, expanding services to include online learning to help more children get support. “The fantastic achievements of the children we help is a result of dedication, love and effort from their parents and the wonderful staff at The Shepherd Centre,” Dr Hungerford said. The Start-up Superstar award recognises entrepreneurial companies who have been operating for less than two years. The award went to Mayday Recruitment, a company offering emergency recruitment services available 24/7. Since 2016, year-on-year sales have increased by 500 per cent. Mayday director and co-founder, Imogen Storie, said the awards celebrate the huge impact local businesses have on both Australian life and the economy. 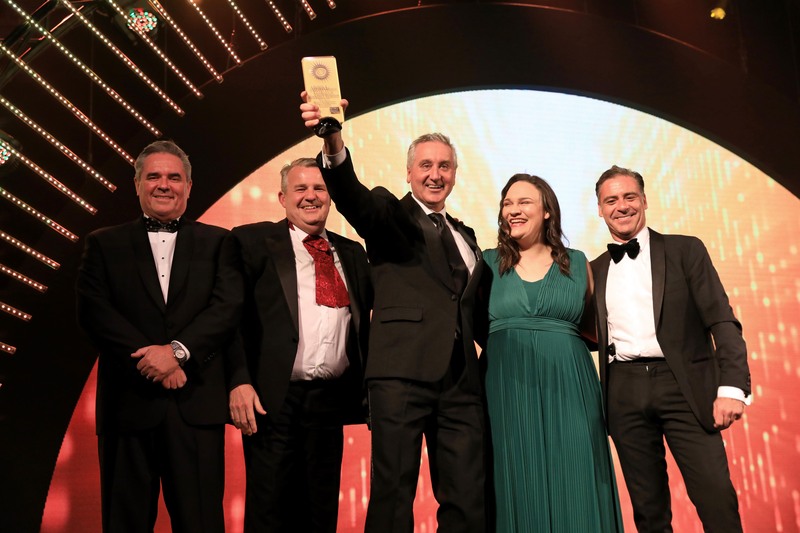 “As a small business, being recognised by winning a prestigious award helps broaden our reach and positively build our presence,” Ms Storie said. Employer of Choice was awarded to Excite Holidays, a travel tech company with HR programs to improve workplace culture. These include a health and wellbeing program as well as a new online learning management system for compliance courses. Excite’s Senior Human Resources Coordinator, Jody Wong, said at Excite Holidays, success is driven by the passion, skills and experience of the team. “We’ve grown from humble beginnings 16 years ago to the global business we are today,” Ms Wong said. Winya Indigenous Furniture took out the award for Excellence in Workplace Inclusion. The company started as a furniture-making business in western Sydney, offering job opportunities for local indigenous young people. Winya has now been recognised as a state-wide winning business, recognised for its sustainable office fit outs and indigenous trainee programs. The business creates sustainable office furniture that is both beautiful and practical. Greg Welsh, who founded Winya in 2015 alongside Deb Barwick, the head of the Indigenous Chamber of Commerce NSW, said the awards are a great motivator for staff. “As a majority Indigenous-owned business, we do a lot of extra socially progressive stuff that we do not get paid for,” Mr Welsh said. The City has supported business awards programs since 2004, and for the second time this year was the Principal Partner of the Sydney City Region of the statewide awards. The City is also the official sponsor for the statewide Excellence in Small Business category.